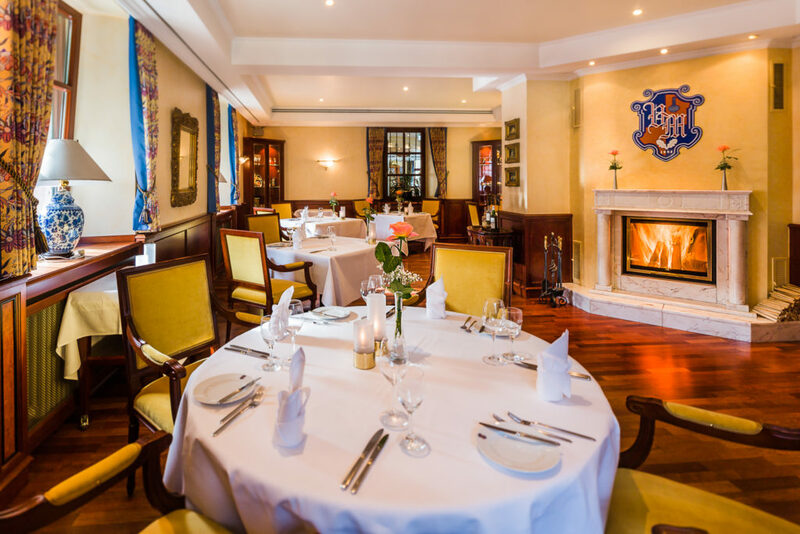 We warmly welcome you to the Villa Marburg restaurants. Step inside and discover unusual dishes as well as haute cuisine in a multifaceted ambience. That’s because no matter in which of our restaurants you’re seated – the meals of your choice from our menu find their way to you. Monday till Saturday: 12.00 a.m. – 2.00 p.m. and 6.00 p.m. – 11.00 p.m.
Food will be served till 9.00 p.m. In our bright park restaurant, you’ll feel like you were sitting in the middle of a park, surrounded by nature all around the Villa Marburg. The noble ambience offers a special atmosphere during the day and at night – no matter whether you want to have a relaxing lunch or if you’re in the mood for a romantic dinner. Fire is crackling in the fireplace, the furniture is subtle yet elegant, and the atmosphere is cozy – this is how you dine in the Culinaricum. 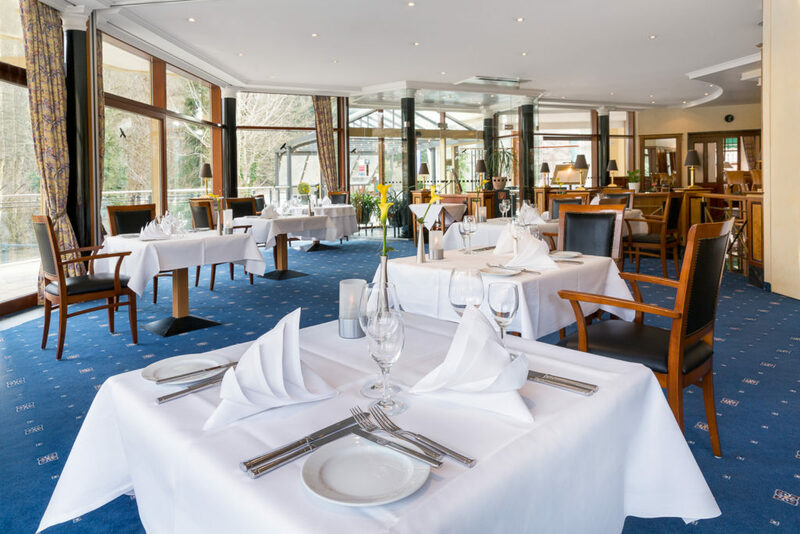 No matter whether you would like to discover the creative fusion cuisine of Klaus-Peter Ullrich or our menu inspires you to try other delights – you can feel good here for any and all meals. Our wine tavern in a sandstone vaulted cellar with its furnishing out of light oak wood and terracotta floor almost makes you forget about time. 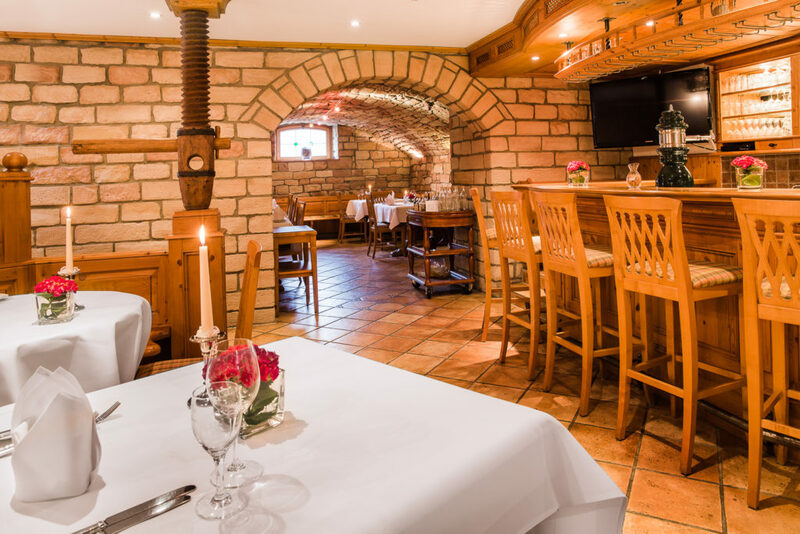 Experience the special atmosphere of the newly designed villa cellar, and enjoy all highlights of our menu ranging from Franconian specialties through to extraordinary fusion cuisine. Wine lovers can experience a cozy wine tasting in our tasting room with up to eight persons. 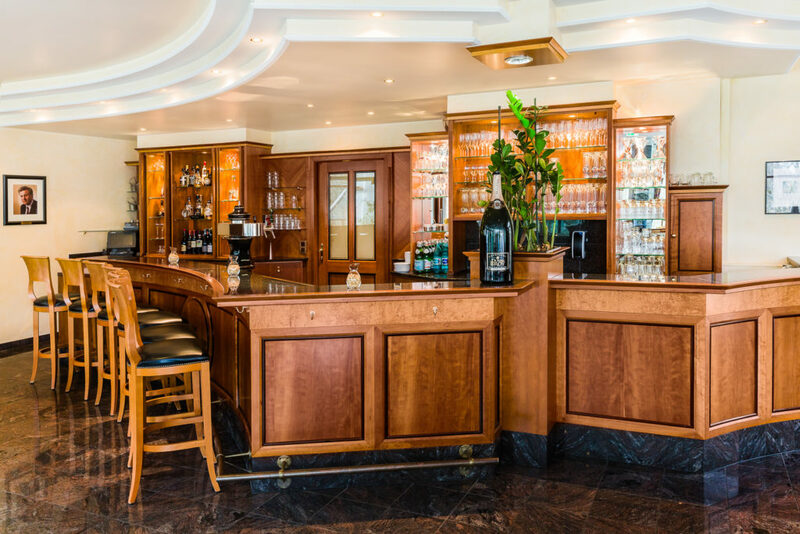 When the day sometimes gets longer, our hotel bar invites you to wrap up the evening in a cozy way. Let our experienced staff indulge you with selected spirits, and talk about the previous day while doing so in good company.